I’ve mentioned a few times that I had chance encounters with members of Hezbollah (“The Party of God”) when I was in Lebanon. But I’ve never written about those experiences. So I’ll depart from my usual criticism of religion (although I’ll probably do that a little) and tell you all a story. I’ll admit that I fear writing this will pique the interests of certain groups and bring unwanted attention to me, but if they read the entire post, they’ll see that I’m not affiliated with any terror organizations, particularly Islamic ones. I mean, I’m atheist! 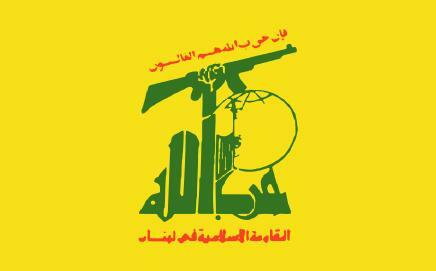 My first encounter with a member of Hezbollah was in early January 2012. It was early in the morning. I was walking down Hamra Street. The shops weren’t even open yet. I paused to light a cigarette, and one of my friends drove by, rolled the window down, and she asked me if I wanted to go for a drive up to Raouché. I said yes, hopped in the car, and then I realized her younger brother was sitting in the back seat. He’s a known member of Hezbollah (although his sister has never expressed her religious beliefs to me; she’s quite secular). We stopped for tea at a vendor on Avenue de Paris and then headed up to the rock, parked along the cliff, and started talking. The brother was curious about my atheism and my experiences in the US. He was very nice and didn’t once attempt to convert me to Islam, despite being a very religious young man. After about an hour my friend had to drop the brother off at school, so we left the rock and headed off to southern Beirut (I forget the name of the area). After dropping the brother off, my friend turned to me and said, “We went looking for you this morning because my brother wanted to meet you. He really respects you.” I was happy to hear this. I expected to be shunned in Lebanon for being a vocal atheist, a la Christopher Hitchens in 2009. * Instead, this man offered only kindness and curiosity. My second encounter with Hezbollah happened in August 2012. My atheist friend and I boarded a bus to the beaches of Sur (Tyre) for a day of sun, sand, and beer. We stayed later than we probably should have. The buses stop coming that far south at nightfall. We missed our bus and headed over to the small cafe across the street from the beach to wait for a passing taxi. There we encountered three men. One was a Lebanese police officer, in uniform. The other two were “civilians.” I stood out because at that time I had long black dreadlocks and I’m covered in colorful tattoos. The three men burned a hole in my head with their continuous stares. Finally, one approached us and offered to share with us some tea. We agreed. They spoke english, and the first question was, “So you’re American?” “Yes,” I said. “What brings you to Lebanon?” etc. — the conversation went. At one point one of the men said, “Since you’re American you must be Christian.” “No, I’m actually an atheist,” I replied. “What is your parent’s religion?” In other words, these men didn’t care that I was atheist; they just wanted to know my status (often in Lebanon society puts people into groups depending on their or their parents’ religion). At that point the police officer offered to buy me some orange juice. I happily thanked him. For about the next half hour we all talked religion in Lebanon and the US. Then the officer said to us, “Here comes a taxi. Let me get it for you. Be careful. The South can be dangerous at night.” Then we left. While it’s questionable whether or not they were actually Hezbollah members, he had every reason to assume they were. In Lebanon it’s easy for the Lebanese to spot party affiliation. Sitting at a cafe emblazoned with posters of the Hezbollah leader is a good indication of their political affiliation. And whether or not I would’ve been attacked for being atheist is also questionable. I’ve never had any problems with the Lebanese people. And those men were very nice to me during our conversation. But alas, I probably should’ve just pretended to be Christian. *Actually, Hitchens was attacked for defacing an SSNP sign, which is a no-no. **I’ll admit that I haven’t been following events in Lebanon for a few months, so the situation might’ve changed. I really need to get caught up with the situation. This entry was posted in Atheism and tagged Atheism, atheist, Beirut, Christianity, God, Hezbollah, Islam, Lebanon, politics, Quran, Religion, Secularism, Shia. Bookmark the permalink. here is a question to ponder, why, as an atheist do you follow and agree to the the laws of men , whom you have never seen?. What kind of question is this? It makes no sense. But I’ll answer it anyway. I don’t break the law for two reasons. First, I agree with the law because I’m a moral person. This covers all tangible crimes. Second, I follow laws I don’t agree with because I don’t want to go to prison. This includes marijuana prohibition type crimes. You don’t have to ponder it. It’s pretty self evident. It is perfectly a logical and simplistic question and has no connotations of morality. AS an atheist who believes in no higher Authority, does it not go against your own existence to accept and follow the laws of other men?. The point is simple. you follow laws to whom you had no say in. Not a question of prison or morals. It just proves you have no authority over your own self. Thus a monotheist, at least gives and acknowledges that GOD has an authority over him and not MAN. Hence why Ideologies are aiming at the destruction of religion from within, thus the atheist being the by product of it. There’s too much I could say here (and I’ve already written it a few times in my blog). I have not, on the other hand, written yet from a neorealist perspective, which I will and will respond with that post once I get around to it. Well goal, since the book itself is written by men, then you are still fallowing the laws of men. Not that of an invented spoiled child in.the clouds.